The new, full-colour Rough Guide to Tuscany and Umbria is the ultimate travel guide to some of Europe's most popular tourist destinations. Covering the region more comprehensively than any other guide, it's packed with up-to-date and expert information on all the attractions, from the great museums of Florence and Siena to the tiny rural villages, as well as guiding you to the best of the beaches, forests, mountains and vineyard-clad hills. It also gives you the lowdown on the best hotels and restaurants for all budgets, and illuminates the sights with background information on history, folklore, art, architecture and festivals. Dozens of photographs and easy-to-use colour maps complete a guide that has long been established as the best you can buy. 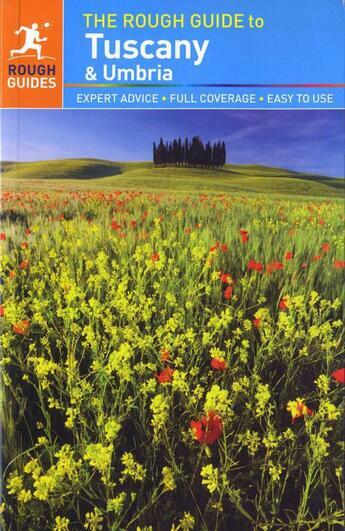 Make the most of your time, with The Rough Guide to Tuscany and Umbria.